Climalite® moisture-wicking yarns keeps feet dry from sweat. Lightweight construction	for a	close fit and	excellent ball touch. TRAXION pods at heel and toe provide cushioning and protection. 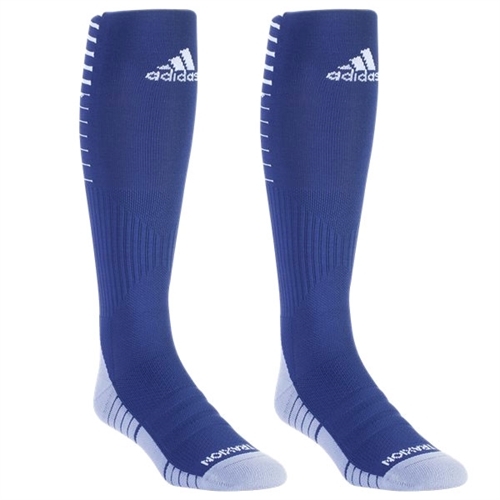 Our adidas Team Speed Soccer Sock is perfect for the soccer player who prefers a lightweight, snug-fitting sock. Features targeted arch and ankle compression for secure fit and added support.